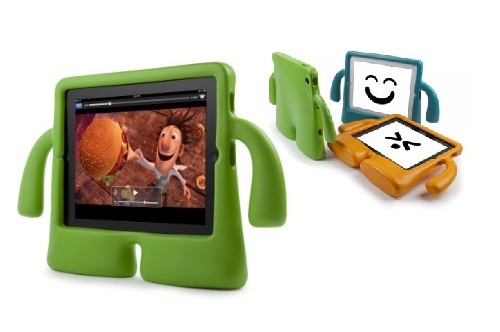 Introducing iGuy - the freestanding foam case for iPad and iPad 2 with tons of personality! Every bit protective as he is a blast to use, iGuy is the perfect iPad accessory for kids and grownups alike. He's lightweight, easy to hold, and he can stand on his own two feet, even while holding up your iPad. Great for viewing movies and videos, listening to music, games, etc.